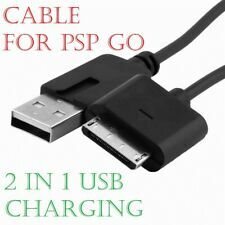 Features: 100% brand new and high quality Replace your broken or lost PSP Go charger cable with this high quality USB cable Simple plug and play. 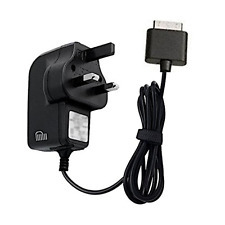 Works stand alone by plugging into any USB port of plug adapter as well as with official PSP Go Charger adapter. Psp Go Console, Charger/cable, 24gb In Total! Psp Go Console, Charger, Case, 24gb In Total! In good used condition, comes with charger/sync cable. The psp go is permanently unlocked and is full of games to keep you entertained. The unit has 16gb internal memory and an additional 8gb m2 removable memory card. Please see pictures for examples of what’s on the console. These are getting rarer now in such good condition. Priced at £94.99 or make me a reasonable offer. Postage will be £7.99 Royal Mail special next day delivery. Any questions please ask. Easy to use, plug and play, no driver needed. Color: Black. Psp Go Console, Charger, 16gb Memory. Psp Go with charger/data cable In good used condition, has light scratches but nothing that gets in the way of play. The psp go is permanently unlocked and is full of games to keep you entertained. The unit has 16gb internal memory. Please see pictures for examples of what’s on the console. These are getting rarer now. Priced at £74.99 or make me a reasonable offer. Postage will be £7.99 Royal Mail special next day delivery. Any questions please ask. Cable Length: approx. - Easy to use, plug and play, no driver needed. USB cable 2 in 1. Load data. Longitud del cable (cm) 115. Color: Black. 1 x USB Hotsync Charging Cable. USB Hotsync Charging Cable. USB Cable has charging capabilities in addition to hotsync. Color: Black. Portable, lightweight, and easy to use. The manufacturer does not necessarily endorse use of these products. It's easy to use and just needs to be plugged into any USB port on a computer or notebook simple. SmartPhone Accessories. Tablet Accessories. Audio Accessories. Garmin Accessories. (Works on mains (with adapter), cigarette lighter, on PC and MAC, on power.). Type Câbles USB. Easy to use. Compatible all consoles French or Jap or US import. 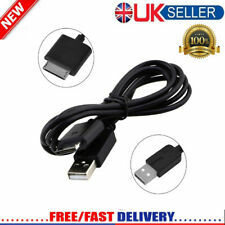 Charging cable for PlayStation Vita. Cable Length: Approx. Synchronization data transmission for PlayStation Vita. aswe would love the opportunity to make things right. If youare not satisfied with the item, you can. Charging cable for PlayStation Vita. Cable Length: Approx. Synchronization data transmission for PlayStation Vita. as we would love the opportunity to make things right. If you are not satisfied with the item, you can. We feel that finding the parts you need should not be a major task. We will work hard to fix any problems. Let us fix the problem for you. We will do our best to get back to you as soon as possible.